In honor of All Hallows Eve, Throwback Thursday and the fact that this film has been around for 20 years I’ve decided to highlight one of the best Halloween movies in existence, Hocus Pocus (1993). If you have seen this one and know the lines backwards and forwards you had an awesome childhood, if you have never seen this film in it’s 20 years I feel sorry for you. This film may not have done well in the box office when it first came out but as time went on it became one of the cult classics that fans have kept alive every Halloween. Sure this film is cheesy and predictable but aren’t all Halloween movies a little cheesy and predictable, I think yes. All the actors in this one do a great job of jumping into their characters and really going for it. But I must say the actresses who play the Sanderson sisters really nail it. 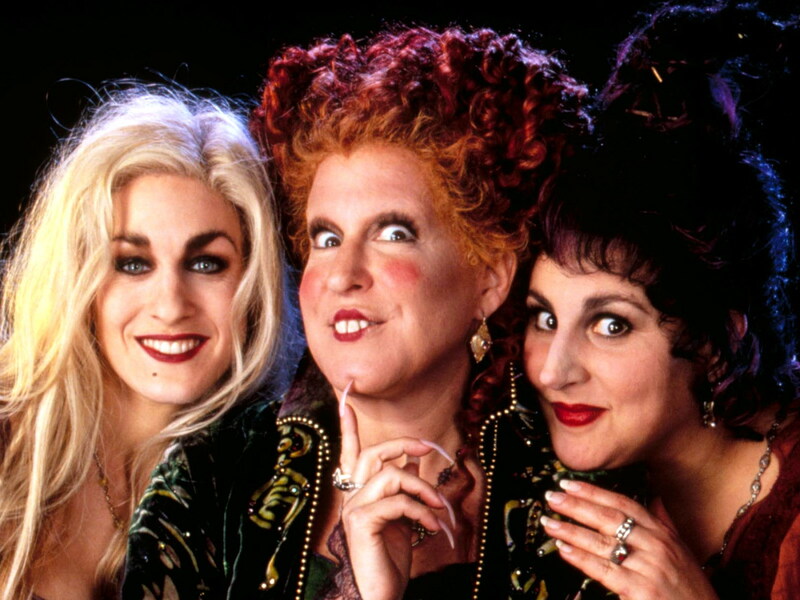 Bette Midler, Kathy Najimy and Sarah Jessica Parker do a fabulous job of bringing these sisters to life and making them seem somewhat lovable while at the same time disapproving of their actions to try to look and feel younger (by killing young children for their souls). 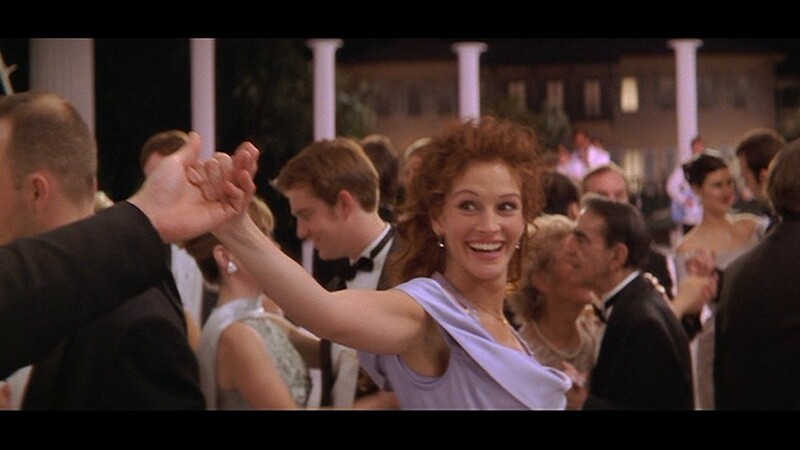 The scenes in this film are priceless from the sisters just communicating with one another and how Winnie (Bette) always dumbs down her two sisters and her having to try to deal with their stupidity to the awesome dance scene at the Halloween party where Bette Midler shows off her pipes with her rendition of “I Put A Spell on You”. That song and scene really put me in the Halloween spirit because it has such energy and involvement from the whole cast and even the extras that you truly wish you were there to dance and sing along. Not only does Bette show off her singing but Sarah Jessica Parker exposes her singing talents in a softer way of luring the young kids to their house with the song “Come Little Children” which sounds pretty but if you really listen to the lyrics it’s quite creepy. There is a slight love story in here somewhere but its overshadowed by the Sanderson sisters need to be younger as well as the sibling story that is more prominent and in my opinion a better way to go than another love story wrapped in a Holiday movie. Don’t get me wrong I like Max and Allison but I think it was a better story to incorporate Thackery looking for his sister Emily and how that correlated with Max having to save his younger sister Dani. So at the heart of this creepy witch movie is a story of siblings sticking together and protecting one another no matter what. 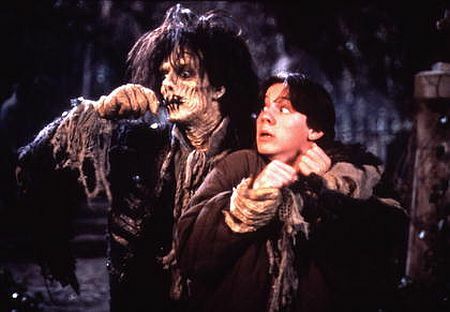 I also love this movie because it features a zombie by the name of Billy before zombies were even cool. He was a great addition to the graveyard scene because it shows that though he is a soulless creature he still has feelings and wants to help Max keep his little safe as well, see zombies are nice they’re just misunderstood. I can’t forget about the two nimrods Jay and Ice who are a reminder that you shouldn’t pick on people, eat too much candy or skip school. Anyway I hope you all have a wonderfully creepy Halloween and if this film fits into your evening I highly recommend it. Happy Halloween everyone! In honor of The Heat coming out tomorrow starring two of the funniest human beings to grace this world Melissa McCarthy and Sandra Bullock, I wanted to do a Throwback in honor of the great Melissa McCarthy to pay homage to her and to the hilarity that she brings to every project she does. Ok, if you are a young adult, boy or girl and have not seen Bridesmaids or never heard of this film you are deprived and I feel sorry for you. This film is one of the funniest films of the last five years in my opinion and a big reason for that is the breakout star of this film, Melissa McCarthy. Sure she has been in the acting game for a long time but this was one of those films where you really got to see her shine at doing what she does best which is giving people a reason to laugh which is such a great gift. Not only is she funny and beautiful but she is a real person inside and out, she is honest, down to earth and aware of what is important in her life which is her kids and husband. She is a breath of fresh air in this industry where people are constantly told you have to look a certain way to become famous or successful and she is doing extremely well in this industry being just the way she is. You go Melissa! Ok back to the film. The other actors bring different and hilarious aspects to their characters with Kristen Wiig, Rose Byrne, Maya Rudolph, and Ellie Kemper. They were all brilliant as this archetype band of misfits trying to help Maya Rudolph get married. 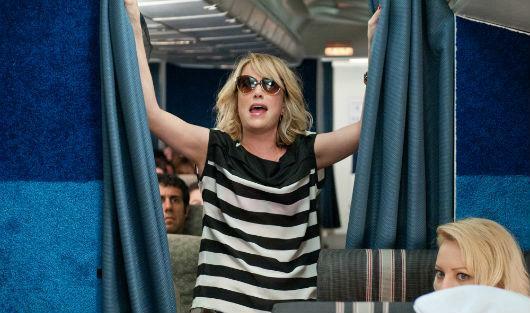 One of the best scenes in this film and one that me and my friends quote daily is the airplane scene with all the girls headed to Vegas for the Bachelorette Party. Kristen Wiig owns this scene as the overly drunk who decides to tell everyone how she feels about her friends new perfect friend as well as her friends impending nuptials. 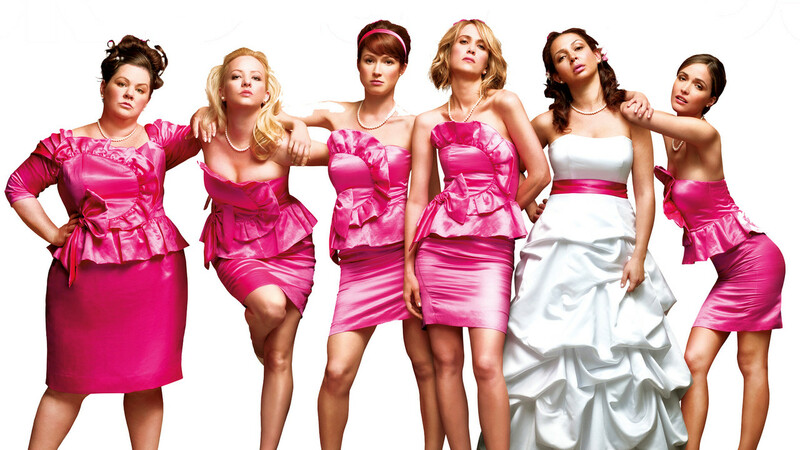 My favorite aspect of this film was that the men were not really featured in the spotlight it was more about the relationship between the friends, Maya Rudolph and Kristen Wiig and how there relationship was going to shift a little bit with Maya getting married and Kristen not really knowing where to go next with her life. I thought this was important to highlight because I think that all friends go through this transition from being so close and doing things together all the time to your priorities changing and having to go through this new chapter in your life. I thought they did a great job of being funny and entertaining but also showcasing these real emotions and moments that happen between friendships. I will always love this movie and it will always be one of the best of 2011 just like I hope The Heat will be one of the best of 2013. Hey guys sorry I haven’t been up to date on these Throwback Thursdays, I’ve been busy out of town so today I am going to be taking it way back. Back to 1986, yes the good old 80’s a time when most of my favorite movies were made. 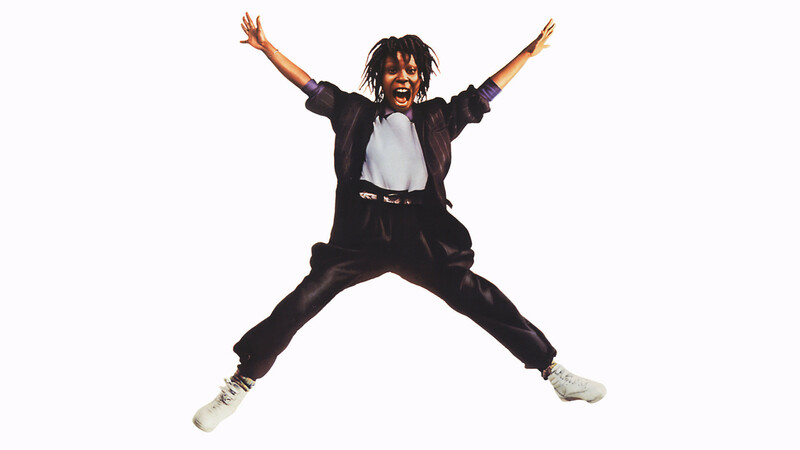 This film Jumping Jack Flash is no different. It has everything you could possibly want in an 80’s film, a funny relevant cast, 80’s style and a great mix of action/drama/comedy. 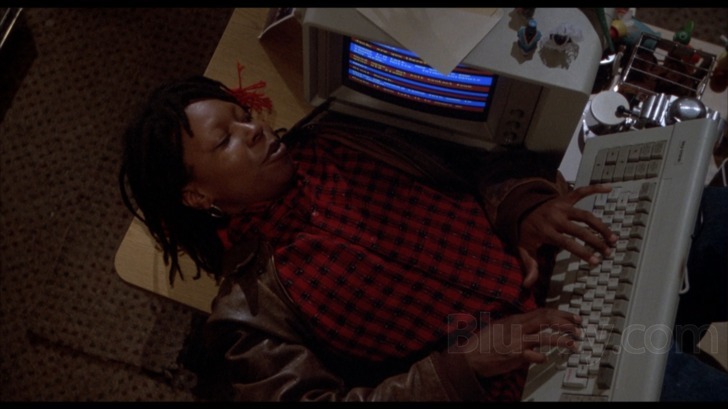 Whoopi Goldberg leads the way in this hilarious film about Terry, a data entry analyst for First National Bank in Manhattan who receives coded messages from an unknown source asking her to help him with his situation. Her workspace is surrounded by some well known and equally funny actors including Jon Lovitz, Steven Collins, Carol Kane, Annie Potts, and the one and only Phil Hartman (RIP). These costars give a spectacular performance along with the frontrunner Whoopi who delivers a great performance as always. She is a funny and outspoken woman who is just trying to do her job as well as wanting to help this person in trouble. The hilarity begins with this unknown person telling Terry that all the clues to find him are hidden in The Rolling Stones song…can you guess, “Jumping Jack Flash” very good! So she bundles herself up and begins the process of listening to that song on constant repeat to figure it out, now this was before CD’s or IPod’s so she has rewind the cassette tape which makes it even funnier. I’m not going to give away any of the details of how this film plays out but trust me if you love a good action film with many humorous scenes please watch this movie for your own good. Now I love Whoopi Goldberg I think she is one of those versatile actors who can do serious films such as Ghost and then can turn around and do a fun comedy like this. Though its not going to earn her any Oscars its fun to watch when you want something that’s light hearted yet heartfelt. Penny Marshall directed this film so you can’t really go wrong with her behind the wheel. 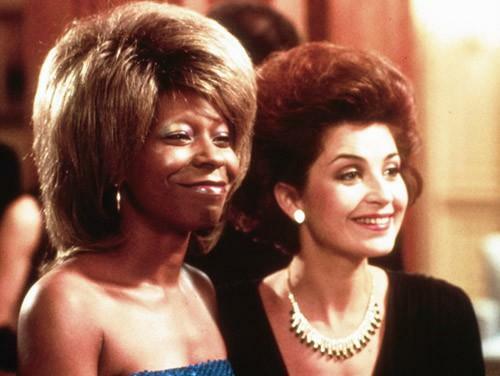 One of my favorite scenes is when Whoopi has to get inside an exclusive Ball, obviously her name is not on the list so she decides to impersonate Diana Ross which she pulls off flawlessly, ok that’s the only thing I’ll give away. I gladly own this film and would highly suggest as least watching it once just to see the 80’s charm in all its glory. There are two kinds of people in this world, people who love Jim Carrey and people who absolutely hate Jim Carrey. I absolutely LOVE Jim Carrey especially from his early career and something from his earlier career that I still love to this day and quote on a daily basis is Ace Ventura: Pet Detective. Yes this film is corny, over the top, wacky and downright silly but that’s what makes it one of my all time favorite movies. 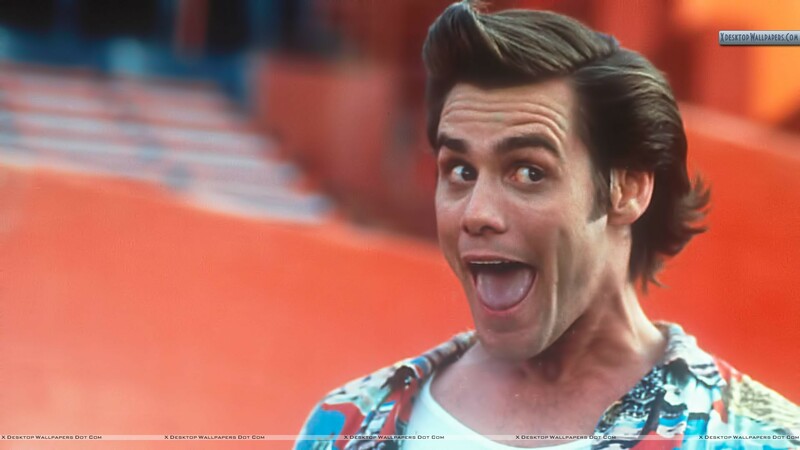 Jim Carrey is his best when he is over the top and out of control. 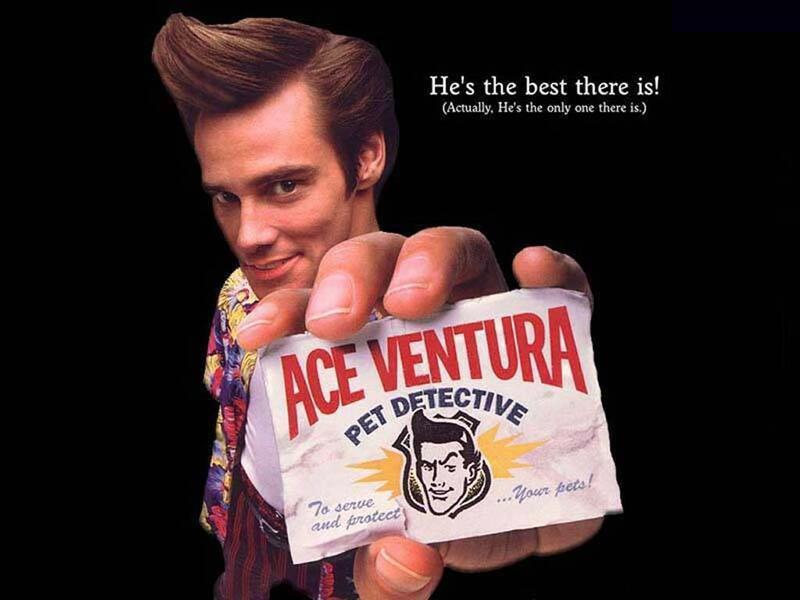 He plays Ace Ventura so well that in my opinion there is no way that someone cannot love this movie and this character. I mean from the very first scene we see that this film is not a normal one and that it’s going to be a little different and that’s a good thing otherwise it would be boring. From the scenes of him in the dolphin tank to the formal night with Melissa to him at the crime scene bellowing from the balcony, all of his little idiosyncrasies that maybe some would find annoying I find completely amusing. For instance the scene where Ace goes to the Psychiatric Hospital and he is reinacting a moment from his football glory days and walks down the hall behind Melissa and the doctor, whistles, splashs some water on his face and then slams his face into the bench has got to be one of my favorite scenes in the film. My friend and I rewound that part about 10 times when we were younger much to my sister Suzis chagrin but we loved it. Courtney Cox, Tone Loc and Sean Young all had great parts as the straight guys to Jim’s shenanigans. I love this movie and will continue to re-watch it until I get sick of it which is highly unlikely. I feel somewhat bad for people who don’t appreciate this film but relish in the fact that I am among the few who truly appreciate it and love it for exactly what is it. All righty Then!! This film has been a favorite of mine and Suzi’s for as long as we can remember. We were introduced to it around the age of 10 and have loved it ever since. We love it for the actors, Tony Curtis, Jack Lemmon and Marilyn Monroe who drive the film along but also the supporting actors who add some great one liners, like Joe E. Brown who probably offers one of the best lines in cinema history “Well nobody’s perfect”. The antics these actors get into trying to get closer to Marilyn as well as running away from the mob is hilarious in itself but add them dressing as women and playing in an all female band just adds to the many dynamics of this story. 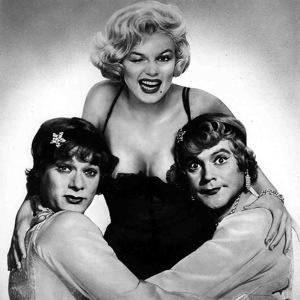 Marilyn as always shows off her acting chops playing the innocent and bright eyed Sugar Kane who has no idea that Tony Curtis is her bosom buddy and the man vying for her attention. I’m not going to spoil the end of that romance you’ll just have to see it for yourself. 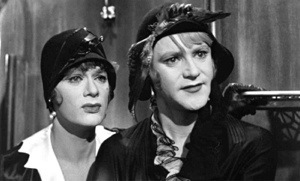 Jack Lemmon is just along for the ride and enjoys the role he plays as a woman. If anything go see this movie for the awesome outfits, actors and the shenanigans these characters get the self into. For my first Throwback Thursday film I decided to choose an all time favorite of mine. This film is a cult classic in that not everyone has seen it, but it has a following of fans who know these lines backwards and appreciates its subtle humor. This film has great actors, hilarious sequences and one liners that me and my family use on a daily basis. Not only is this film considered a gem because of it’s antics but it is also based off of the board game which was a huge part of my childhood. 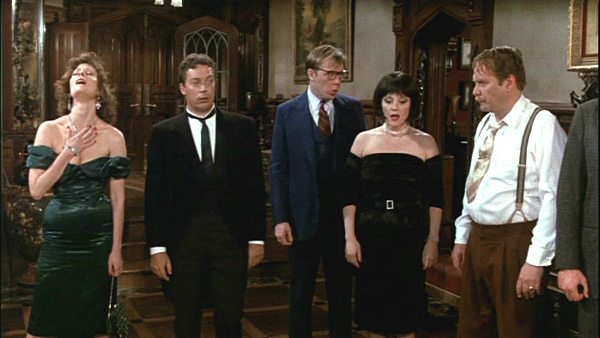 This film takes place on a rainy dark night where strangers are summoned for a dinner party at a mansion. They soon learn that they are all being blackmailed by the same person and unless one of them kills the blackmailer all their secrets will become public information. This plot makes for an interesting evening with unique characters and hilarious situations that only a true fan of the Clue board game and story can appreciate. The actors really pull this film together with their ability to stay serious while in the midst of this wacky story. Tim Curry especially excels as the main man for driving this story along, but the rest of the cast Madeline Kahn, Eileen Brennan, Martin Mull, Christopher Lloyd, Lesley Ann Warren, Micheal McKean and Colleen Camp all do a superb job at keeping the story alive and hilarious as ever.Sure this film is campy, cheesy and somewhat predictable (it was the 80’s) but it’s a cult classic/fan favorite for a reason and I hope people after reading this will watch it for the first time or 100th time. And if this doesn’t entice you here’s another reason to watch this film. 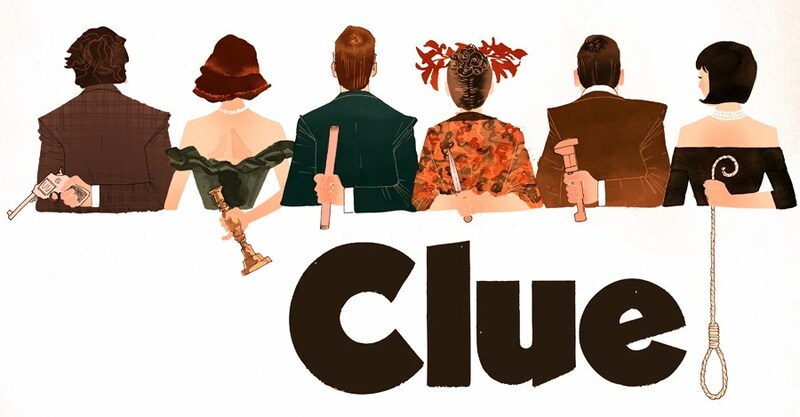 Psych just aired their “Clue” episode which paid homage to the 80’s film, which was amazing, and if you watch the film and the episode you can find the clues (wink, wink) that match to the original.